Many of Camden’s neighborhoods have experienced decline and disinvestment and the Cooper Plaza neighborhood in Camden is no exception. So when Cooper Health System, the region’s largest private employer with more than 5,300 employees, opted to combine its own expansion plans with efforts to strengthen the adjacent historic neighborhood, it created a new opportunity for cooperation and the potential for lasting success. When complete, the Health Sciences Campus will be a district where people live, work, shop and receive medical services within easy reach of multiple public transit modes. Using elements from various (re)development plans approved by the City of Camden and the Camden Redevelopment Agency to help revitalize neighborhoods and expand the city’s institutions, the Health Sciences Campus is the core of a 30-block redevelopment area, or “Vision Area,” that rebuilds and expands major health care facilities; revitalizes the adjacent historic Cooper Plaza neighborhood; rebuilds the Broadway retail district (Camden’s traditional shopping street); and improves access to the Rand Transportation Center. The Health Sciences Campus indicates Cooper’s strong commitment to Camden and the adjacent neighborhood in a challenging urban setting. Cooper has invested in properties and has made improvements in areas that reach far beyond its own footprint. Better than half of the more than $500 million total investment has been made since 2005 or is under construction (completion of the campus is anticipated in about five years). 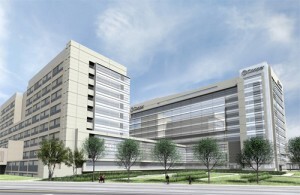 Among the major pieces that have already been implemented or are nearing completion are a new 10-story Patient Care Pavilion; a new gateway park replacing an old garage; a new 1,600-car parking garage with ground-floor retail; and historic row-home renovations with sidewalk and landscaping improvements in the Cooper Plaza neighborhood. A crucial feature of the Vision Plan is the development of workforce housing for Cooper employees in the adjacent Cooper Plaza neighborhood. Of the 550 Camden City residents who work at the hospital, about 90 currently live in the neighborhood. Cooper has partnered with the St. Joseph’s Carpenter Society to rehabilitate more than a dozen town homes and provides assistance to Cooper employees who are first-time homebuyers if they purchase the rehabilitated homes. M&M Development is also building 100 mixed-income housing units – most of them in new construction – over three phases. The housing rehabilitation and construction has been accompanied by streetscape improvements that reinforce the historic neighborhood character through the use of cobblestone streets, brick sidewalks and historic street lamps. Other planned initiatives include improvements to the public spaces and pedestrian connections around the Rand Transportation Center, where NJ TRANSIT’s bus service and River Line and the PATCO high-speed line come together, to provide better access and encourage transit use by residents, employees and downtown visitors. Cooper also facilitated a $10 million investment by Camden County in three publicly owned neighborhood parks, for which Cooper will provide maintenance over 20 years. A new school – the Lanning Square Elementary School – is planned, as well. 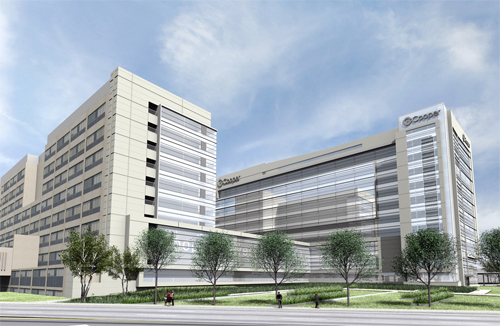 The medical expansion includes a planned 75,000-square-foot, $75 million Cooper Cancer Institute; the planned 160,000-square-foot, $136 million Robert Wood Johnson Medical school/UMDNJ expansion; and a biomedical research facility owned by Rutgers-Camden and operated collaboratively. The Health Sciences Campus has succeeded because of strong partnerships and an inclusive process. Cooper was able to secure community support as it fully engaged neighborhood residents through community charettes and meetings. In the visioning process, Cooper worked with the local Cooper Lanning Civic Association and was able to address community concerns, such as ensuring public safety, creating useful public spaces and preserving neighborhood character. Other partners include various government entities, foundations, healthcare institutions, as well as nonprofit and for-profit developers.